New. Sewn binding. Cloth over boards. With dust jacket. 704 p. Contains: Illustrations. This is the book, all right. Easy to follow, very explanatory, plus a good-looking book. Outstanding in every way! Marcella Hazan is an Italian food guru. 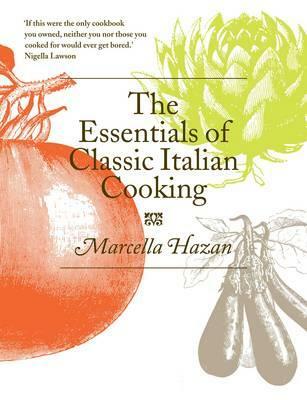 If you want to cook "Italian"
Using Hazan's book on Italian cooking is the only way to cook authentically Italian. I would not use anything else. Food is good and easy to prepare. Methods and ingredients are converted into American usage, so no translation is needed.